We've already covered making fathead dough, but if you dont know, it's just 3/4 cup of almond flour and 2 cups of skim mozzarella cheese heated in a pan... stirring consistently until you have dough. Roll out the dough with a rolling pin and cut it into strips. Twist your bacon around the dough and VOILA. Put it onto a cookie sheet lined with parchment paper. Bake at 350 for 25 minutes. 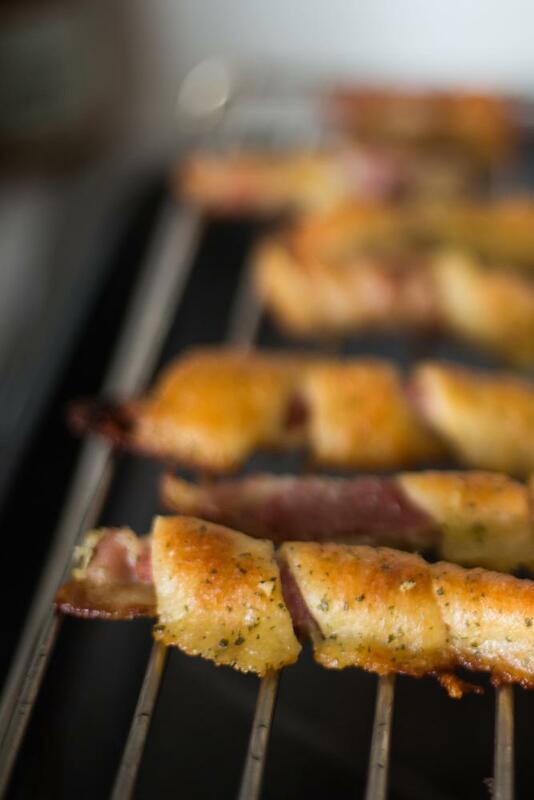 Enjoy these super delicious keto bacon twists!